Random House (NY), 9781400062003, 246pp. The Sabbath is not just the holy day of rest. It’s also a utopian idea about a less pressured, more sociable, purer world. Where did this notion come from? Is there value in withdrawing from the world one day in seven, despite its obvious inconvenience in an age of convenience? And what will be lost if the Sabbath goes away? 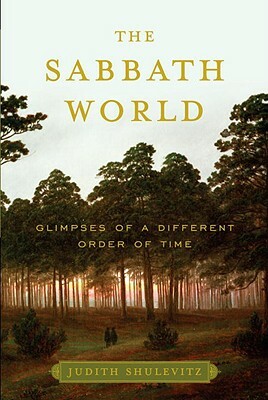 In this erudite, elegantly written book, critic Judith Shulevitz weaves together histories of the Jewish and Christian sabbaths, speculations on the nature of time, and a rueful account of her personal struggle with the day. Shulevitz has found insights into the Sabbath in both cultural and contemporary sources—the Torah, the Gospels, the Talmud, and the writings of the Apostolic Fathers, as well as in the poetry of William Wordsworth, the life of Sigmund Freud, and the science of neuropsychology. She tells stories of martyrdom by Jews who died en masse rather than fight on the Sabbath and describes the feverish Sabbatarianism of the American Puritans. And she counterposes the tyranny of religious law with the equally oppressive tyranny of the clock. Can we really flourish under the yoke of communal discipline, as preachers and rabbis like to tell us? What about being free to live as we please? Can we preserve what the Sabbath gives us—a time outside time—without following its rules? Whatever our faith or lack thereof, this rich and resonant meditation on the day of rest will remind us of the danger of letting time drive us heedlessly forward without ever stopping to reflect. Judith Shulevitz is a literary critic and a former columnist for "The New York Times" and "Slate." Her work has also appeared in "The New Republic" and "The New Yorker." She lives in New York City with her husband, Nicholas Lemann, and children.